Four others have been injured in the attack. The boy’s identity has not yet been confirmed. IT HAS BEEN confirmed that a 17-year-old boy died after being mauled by a polar bear which injured four others who were all travelling with a British tourist group in Norway. Sky News has confirmed the identities of the four people injured in the attack but only the age of the boy who was killed has been so far confirmed by the governor of the area where the incident happened. The British Schools Exploring Society leaders Michael Reid and Andrew Ruck along with two of the participants in the trip, Patrick Flinders and Scott Smith were injured in the attack. They are all aged between 16 and 23-years-old. The attack happened today in the Norwegian Arctic Archipelago of Svalbard, according to the Telegraph. A spokesperson for the district said that one person had died and four others had been seriously injured. The polar bear has also been killed. Word of the attack reached the district governors office at around 7.30am local time (5.30am GMT). It is said to have taken place near the Von Post glacier near the district capital of Longyearbye. Earlier, the governor’s office said in a statement: “The four injured people are now at the Longyearbyen Hospital… An ambulance is now scheduled to fly the patients to the hospital in Tromsoe [northern Norway],” AFP reports. 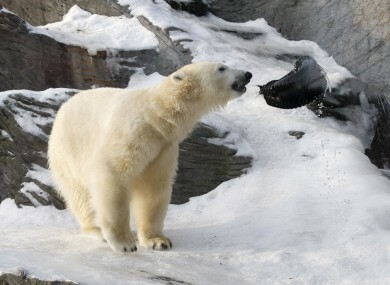 Email “Teenage boy mauled to death by polar bear in Norway”. Feedback on “Teenage boy mauled to death by polar bear in Norway”.